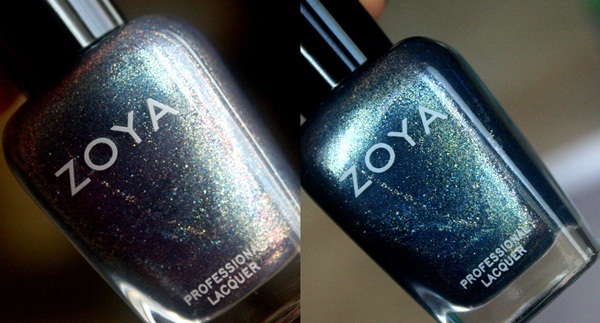 The last installment of the ZOYA Fall 2012 collection is the Diva collection. Diva is made up of rich metallics and duochrome shimmers! I love me some metallics and these colors are just so beautiful for fall & winter. All polishes in the Diva collection go on very opaque and look shiny, gorgeous and super metallic in just two coats! Elisa - Crimson Red Metallic with extremely fine red shimmer. The shimmer isn't prominent but, adds a touch of sheen to the otherwise glossy red. 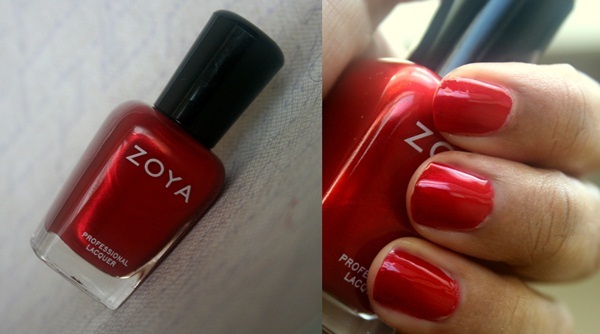 Elisa is a classic red that you can wear any time of the year and a fantastic pedicure shade too. Great formula that dries super fast. Song - Bright Blue metallic with tiny blue glitter. It transaltes to a brighter blue on the nails and the glitter adds a beautiful dimension to the polish, making it a very unique blue. Song is one of my favourite shades from this collection. It will look flattering on most skin tones and makes for a good summer shade too! The formula was a tad thick and may form tiny bubbles but, with patience, Song turns out to be one of the most gorgeous looking shades from the fall collection. Daul - Voilet/Gold Foil metallic with a ton of sparkles. I have Daul on my toes right now and I love how it has a mix of brown, gold and hints of purple under different lighting. The shimmer comes in a light purple base so, I love to layer Daul over cremes that need a touch of glitter. The formula is a little thick and needs a couple of minutes between coats to dry! Suri - Royal Purple metallic with slight red undertones. Suri is very flattering against my skin tone and has a super smooth, thin formula that is so easy to work with. The color is great for fall and depending on your preference, you could get away with just one coat. Ray - Pine Green Metallic with very fine silver sheen. Ray may not be the most unique shade but, it sure is beautiful and forms a great base for glitters, flecks and jellies. This dark green is perfect for winter too. FeiFei - Blue/Gold Foil metallic with glitter. FeiFei also has hints of purple under a lot of lighting and looks grey in daylight. Another one of my favourite shades from the Fall collection. FeiFei has a fairly thick formula and needs more than a couple of mintues between coats to dry. The overall finish is super shiny, metallic and very sparkly! Overall, I like the Diva collection a tad more than the Designer collection. 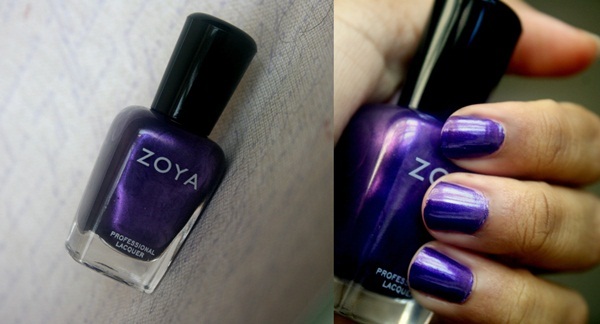 The colors are interesting, gorgeous and the collection itself is very well done, color and formula-wise. Shimmers like Daul and FeiFei work alone and over another polish when you want to add a little something. My favourites from this collection are Song, Suri and FeiFei! What are your thoughts on the Diva Collection? All the shades are gorgeous but I'm loving Daul and Feifei the most! They're gorgeous! I want them all.